In the latest episode of Silsila Badalte Rishton Ka 7th November 2018, Pari had a good time with Mauli and her family. 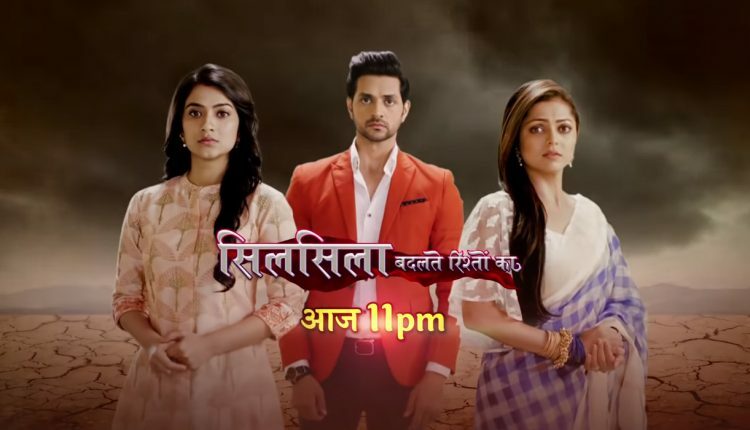 The today’s written episode begins with Mishti tolds to Mauli that Mishti has not seen her the photo of the father. It is good for him, else she must have loved her father. She does not even know the name of her real father. Mauli was disturbed to thinking about Kunal falsifying her pregnancy and silently cries. She decided that she would not let Kunal or her past cast a shadow over Mishti. She said that she just hate Kunal. She attempts to light a matchstick with her trembling hands. Her hands were shiver because she is so terrible to think about Kunal. To saw this Ishaan holds the hand of Mauli to help her. They hold her hands together to save the flame from going out. He said to Mauli that it takes some time for a flame to settle in a good manner. He said that the two hands are much better than one. Mishti and Pari both were playing in the room. They enjoy the moment. Mishti ran with the photo of Kunbal while Pari is behind to her for following. Dida comes to Mauli and said that she had seen Mauli yo burn her memories with Kunal. Ishaan has been a gift of god for Mauli. She can get the guarantee that he will keep Mauli’s happier than her past husband that is Kunal. She wants to make Ishaan as her son in law. It is a golden opportunity for the Mauli that she does not let go. Mauli goes inside to brought Mishti and Pari out for Pooja. They both were sat in a corner silently, then they were decided to get frightened to Mauli. Soon, their room’s door open. Mauli enters inside to bring Mishti and Pari out the Pooja. Precap: Mauli and Kunal pass by each other at a restaurant entrance. Both sense the presence and turns to face each other.